1. Payment is expected when services are rendered. In order to focus on our patients' needs, customer service and minimizing costs, we do not bill. We do utilize Care Credit and Scratch Pay as 3rd party payment options. 3. When unexpected illness strikes a pet, unexpected expense strikes as well. 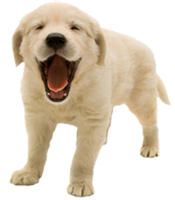 Glendale Animal Hospital understands this and is able to make some special arrangements through SCRATCH PAY. It takes under 5 minutes to complete an application (usually done on your phone!) and will allow you to break down urgent expenses into smaller monthly installments. You should not apply for scratch pay until you have an estimate for your pet's expenses. Another popular option for your family and pet is insurance coverage. Unfortunately just like "people insurance", this won't help with immediate problems your pet may have. To learn more, please visit the following pet insurance websites . . .